Some academics writing on paganism at present insist that pagan traditions disappeared with the onset of Christianity, and/or that anything believed or practiced afterward can be identified as Christian. Some historical evidence, however, contests that view. In the twelfth century CE, almost a millennium ago, an anonymous Russian writer traversing the Aegean Sea defined Iazychestvo, which translates roughly as “paganism,” as embracing the veneration of nature (the “attribution of a living soul to all natural elements”); the reverence of divinities (particularly of a Great Goddess and the thunder god Perūn) and of elementals; the veneration of ancestors; practices of divination and magic; the celebration of seasonal rites; rites of offering and sacrifice; and the creation of sacred arts and crafts as forms of communication with the divine. He also noted the emergence, with the arrival of Christianization, of a “dual” or hybrid (or, mixed, syncretic) sacred tradition, often referred to in Russian as dvoeverie. The Russian historian and archaeologist Boris Rybakov (1908-2001), who in Kievan Rus’ describes this medieval traveler, whose text was titled in The Story of How the Pagan Peoples Worshipped Idols and Offered Sacrifices, as “highly educated “ and as an early writer on comparative religion, points out that this scholar was familiar not only with indigenous Slavic sacred beliefs and practices and with Orthodox Christianity but also with “the ancient Egyptian cult of Osiris” and the religions/traditions of the ancient Greeks as well as with Catholicism and Islam. A century prior to the Russian traveler’s account, Northumbrian Christian priests in what is today northeast England and southern Scotland described ‘heathenism’ or ‘paganism’ as including the following: the veneration of Nature; the reverence of divinities (“idols”) as “the worship of heathen gods”); offerings and sacrifices to pagan divinities; practices of divination and magic; and attending a pagan sanctuary. The descriptions of paganism given by the Russian traveler and the British priests are strikingly similar. The Viking Christian King Cnut (or, Canute, c. 985/995-1035), in the early eleventh century, forbade in his Laws the worship of “the Gods of the Gentiles; that is to say, the Sun, Moon, Fires, Fountains, Hills, or Trees, and Woods of any kind.” In the late thirteenth or possibly the very early fourteenth century, Auger II de Montfaucon (d. 1303/1304), then bishop of the Couserans province in southern France, appears to have presided over a book of statutes that includes a set of beliefs and practices that, taken together, constitute an extended definition of paganism that is more than a little reminiscent of the foregoing descriptions. Divination, magic, invocations, and other forbidden practices such as offering feasts to non-Christian beings were linked in the text to reverence of the goddess Diana in various manifestations. Not only were primarily pagan practices condemned, but also mixtures of pagan and Christian rites such as those involving invocations and incantations rather than only prayers. 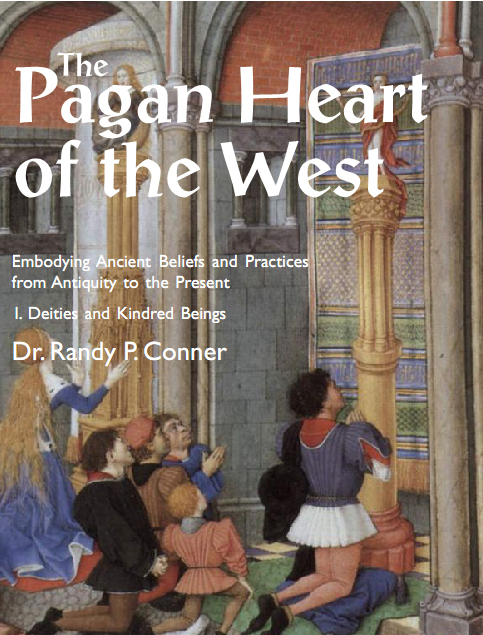 The meaning of “paganism” and those beliefs and practices comprising it have remained fairly rather surprisingly consistent since the Middle Ages – if not for centuries prior. Moreover, such beliefs and practices continued to exist and be performed in European regions long after official Christianization. You can view The Pagan Heart of the West on Amazon.